New image HF: The extract below comes from a book about site preparation for Chek Lap Kok airport. Tymon Mellor confirms the Transshipment Centre was at the ex-Lok On Pai desalting plant site. He says it was used by the Provisional Airport Authority (PAA) to store materials off site before shipping to Chek Lap Kok as the island and airport were built.. When did it open and close? 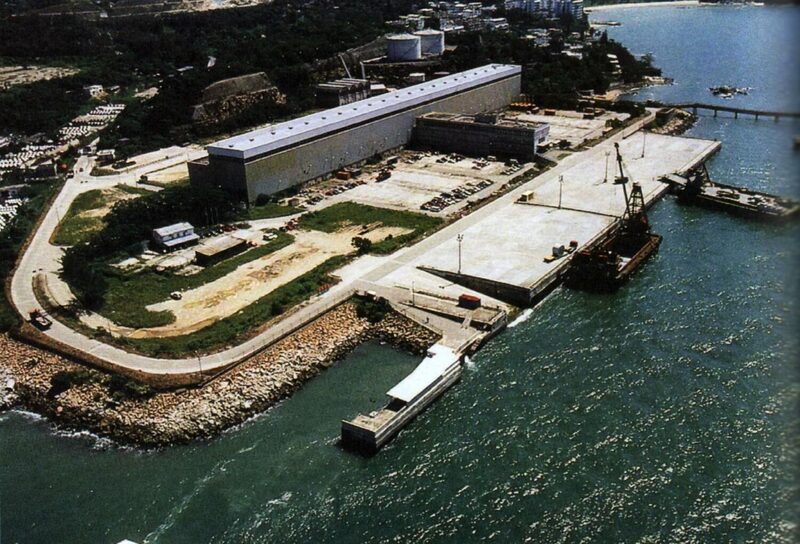 And are there photos or other images of the plant being used as the Transshipment Centre? The answer to the last question is yes. Here’s one sent in by IDJ.